Full rehabilitation with the use of an "all on 4" dental treatment is in the past. We have improved it with the use of an " all on 6" which is, as the name implies, adding 2 more implants to the original treatment. Why? , It´s safer and I want to make sure that your dental investment is not lost. If you were to loose one of your implants with the "all on 4" your treatment will fall apart and yes, your money with it. By adding two more implants the structure will be strong enough to survive the lost of one, which is fairly common. Yes, the important question comes to your mind now, how much more is it going to cost me? The cost of an "all on 6" is just a little more expensive, nothing to worry about, it still stays below the prices you are offered in the United States. It also assures us that the price you pay is it. Even if one falls down the repair cost will remain from a minimum to nothing in comparison to what a whole new reconstruction of an "all on 4" will cost you. Think about a dental work with: lower costs, beautiful country, a Doctor with 30 years of experience, awesome staff, and the smile you have been dreaming about. We are waiting for you. Pura Vida! Dr. Vargas choose to study dentistry as he found out that he was very skilled with his hands and sure tend to go with at the medicine area as well, so the most logic result was to study dentistry. Dr. Vargas, studied at the School of dentistry at the University of Costa Rica and was nominated as the best student of Dentistry and received the honors for this. After his graduation, made his first year social service as a dentist at a location 150 km south of the capital at a pineapple plantation area, where he developed himself as a general practitioner and noticed he had a special skill on oral surgery. At his return to San Jose, was hired by the School of Dentistry as an instructor and after 4 years teaching and working at a major Hospital in Costa Rica at the oral and maxillofacial surgery department, was accepted to make his residency in oral surgery at the oral and maxillofacial and craniofacial surgery department of the University of Heidelberg in Germany where he could broaden his skills in this area and had an special training in dental implants and all the spectrum on oral surgery like bone grafts, sinus lift, block bone grafts, and orthognathic surgery, reconstruction of jaw defects with hip bone grafts among some of the aspects of his training. As part of his education, Dr. Vargas participated in the preparation, planning for the restoration with crowns, bridges and special dentures of the patients who received dental implants in conjunction with the department of prosthetics. Dr. Vargas returned to Costa Rica as a Chief of the oral and maxillofacial surgery department of the “Class A” in Hospital San Juan de Dios, and for 17 years he worked there, then he decided to dedicate all his day to the private practice to treat overseas patients for full mouth reconstructions, hybrid dentures, dental implants. He still teaches at the University of Costa Rica being there for 30 years now as an instructor and teacher for oral surgery. He also gives lectures inside and outside Costa Rica and writes scientific articles and in general is considered an opinion leader in his field. Without dispute his experience is there and the trust the patients have on him is remarkable. 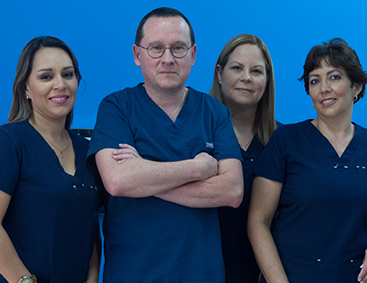 He believes on giving the overseas patient who receive dental implants in Costa Rica with him, all his knowledge and care during the dental jobs in very short timeframes so that the patients can catch their flight back home as soon as possible. He has done this for years and has made a new standard on dental care. He takes the phone and talks to the potential patients who write him as soon as he can to find out his dental needs and begin to plan the best options for the dental treatment individualized for each patient. Is this nicht great!!!!! The Doctor calls you. This is an example of the keystones of his beliefs on the dental treatment for his patients, to get the time to know the patient before he even arrives to Costa Rica. Be part of this, give a call or e-mail us so you give your first step to have the smile you always wanted with a trust, experienced dentist, Dr. Jairo Vargas. Two-implant Overdentures are an affordable option for our clients, because it combines the stability of two front dental implants with the economical costs of treatment. The All-on-4 treatment is a cost-efficient solution that provides patients with a fixed full-arch prosthesis on the day of surgery. Two straight anterior implants and two implants tilted up to 45º in the posterior. The All-on-6 is specifically designed to use only six implants that are available for immediate function. Typically don´t require bone grafting, so they are an ideal solution for areas of low bone density. Our goal is to provide you the best possible treatment based on your dental needs and to give you an attention in our state-of-the-art estethic clinic. Our "Tico Touch" in combination with our unique European training will give you the dental work in Costa Rica you expect with significant savings. Imagine getting your dental treatment with dental implants priced within your budget, lifetime warranty and enjoying the vacation you deserve in beautiful Costa Rica. Before surgery, meticulous planning is necessary to identify and analyze the dental nerve, maxillary sinus and bone shape and dimensions, both in the area of the intervention and in the surrounding area. During the preliminary examination, your dentist will use different imaging techniques (intraoral x-rays, panoramic x-rays, CT scans, digital scanners, etc.) in order to have the maximum detail to be able to analyze your mouth and design the treatment plan. Dental implants offer many advantages. This is a solution for long-lasting tooth loss and is generally preferable to other alternatives such as conventional dentures or fixed prostheses (which are cemented on healthy teeth). The success rate of a high-end implant like the ones we put in the clinic (Straumann brand) is 98% and improving. More specifically, the success rate is somewhat lower for upper jaw implants and higher for lower jaw implants. Keep in mind that once a natural tooth is extracted there is no turning back. The tooth should only be extracted if there is no chance of saving it, or at least saving its root. If you are in doubt about whether a second opinion is possible or if it is worth saving that tooth, you can ask your dentist to refer you to someone else for a second opinion or find another dentist on your own. People feels a desire to improve their looking when circumstances in life affect their appearance. For example, missing a tooth or several of them, is an issue among the community in matters of self esteem. In many places worldwide great dental experts are willing with their knowledge and equipments on this labor. Now here, in this country our team offers a high quality service to please any client on its desire, trust in our clinic staff where you will leave behind all problems concerning to dental treatments. Here at the dental treatment clinic, we ensure a service with considerable savings and 27 years long of proud and high quality service to each one of the people that have taken the decision of choosing us, use the opportunity of catching a flight to Costa Rica that is possible to take from airports nearby your home. Using all the specific bases of your dental needs you will be given an exceptional treatment as better as possible, state-of-the-art dental facility is personalized for patients. Provide yourself of brand new dental implants, thought for your salary and ensure savings which you may use to others services or have a trip all over the country and enjoying the beautiful found in Costa Rica. In order to evidence professionalism and confidence, our staff will work closely with the doctor responsible of your personal care. We are willing to answer any questions people have or even to take an appointment. In case you have whichever requirement considered as urgent, please feel comfortable to contact by phone, we understand the world is changing constantly and is a must to manage other language for everyone in the case of our staff they may be answered in English, Spanish or German. Many tourists make their dental implants in Costa Rica, with a stable policy, have countless natural beauties and a lower price but with a highly recommended quality in dentistry. It becomes the ideal for a lot of foreigners who require treatments. and offers rehabilitation with dental implants made by specialists in the area. 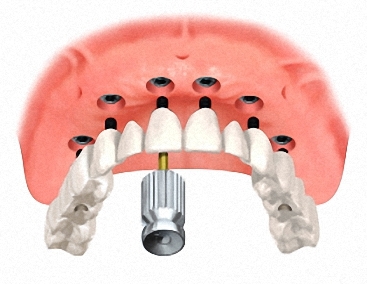 A dental insert is a titanium component that is situated by surgery in the maxillary located below the gingival, this allows the dentist to embed the synthetic tooth or bridge in that area permanently, implants are not removed as dentures, are beneficial to your oral health, and it is not necessary to be subject to other teeth like bridges. The implant is attached to the jaw bone providing a fixed support for those artificial teeth. Bridges and dentures that are placed on the implants will not slip or move in her mouth and of itself is a huge advantage by making it more accepted and aesthetic, helping your chewing. This adaptation of dentures, bridges and single crowns that are placed on the implants make them look as if they were their own natural teeth. 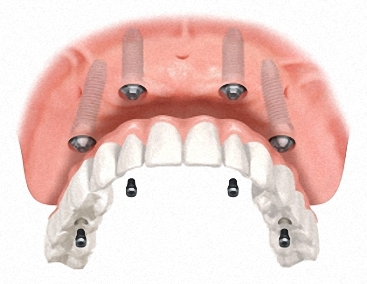 Occasionally, conventional dentures and bridges can result uncomfortable, create irritation because their edges are sometimes narrow and cause nausea, apart from this detail, traditional bridges should be supported on the teeth on both sides of empty space and advantage of implants is that you do not have to modify other teeth or wear them for that support the teeth replacement. These bridges or removable dentures can be removed and reinserted in the mouth and obviously is not something that a person would like to do or is aesthetic. They are generally accepted for people of the 3rd age and due to retraction find it impossible to place implants. Cost of Dental Implant in Costa Rica, costs from $ 649 to $ 899 and the average price is $ 809. If you plan to get it and your bone is extremely thin or soft and does not hold the implant may ask to be a bone graft. Generally most dental implants work successfully but you can take several steps to ensure lasting successful, as not smoking, visiting the dentist, brush your teeth at least 3 times a day and avoid chewing very hard foods that may damage it. If you want to start an implant, must include healthy gingiva and adequate bone to support the implant. The patient should have the responsibility of maintaining good health these new structures, meticulous hygiene, going to the odontology regularly is essential for doing well treatment and long-term implants. You can enjoy your holiday and include a dental implant in Costa Rica at the parallel time. Dental tourism has become a very popular choice for those who want to take more economic implants but with the same quality. Some countries like Costa Rica, India, Mexico and many Asian countries offer treatments at a lower price than developed countries such as Canada, the US and the UK. Are you interested in a treatment by specialists who have studied and trained in the United States and use the identical materials but with a much lower cost and with the same quality? Besides all these advantages we can add that you have the opportunity to visit the tourist attractions of this beautiful country, before or after your cure while you are in recovery. All in four is a technique that involves the same day of the surgery is placed a dental prosthesis immediately. Gives an effective and safe restoration to patients is developed to replace all the teeth in the lower and upper arch using a limited number of dental implants. You can delight a dental treatment in Costa Rica thanks to savings of 60% on all dental procedures (if you compare prices with specialists from the United States. In addition, patient comfort gets better with the successful result of the procedure in a short time. With treatment of All-on-4, you take implants and a complete set of non-removable permanent teeth in one appointment..
All on Four system is the latest generation of implantology, is conducted by suitably qualified professionals in dental treatment in Costa Rica. It allows extractions, remove your infection and place the corresponding implants as well as upper and lower, in a permanent way on the same day. This technique are designed to obtain desired results in a predictable manner are used. His material is titanium because it must be bio-compatible with the bone and be tolerable with the soft tissue of your mouth. It is almost minimum that produce rejection or allergy this procedure, if necessary extractions were carried out and the implants are placed to grip the prosthesis. When surgery is completed, the dentist retouch and adapts it, so that it is perfectly adjusted to the patient's mouth, after he puts the prosthesis to the patient and can return to their teeth functions. all in one day. The importance of this type of treatment is that with a small number of implants can provide the patient with a fixed prosthesis lower teeth, reducing the cost and time of treatment and improving the quality of life of our patient. It is recommended that the client initially make a soft diet for a month and then if you can eat normally. The patient in addition gets a completely new set of teeth the same day and avoiding additional interventions of several weeks for other processes and different treatments. It is done in a short time, it is more economical and recovery is very fast. With this technique quickly recover (masticatory and aesthetic) function and gain security. In order to get cheap dental implants the main tips that you should keep in mind is that it is better make dental tourism and enjoy a holiday you will meet new locations and perhaps can earn prices more economic besides benefit from the exchange. Dental treatments in Costa Rica is a safe and reliable option, always prepare a detailed choice on which clinics are right for you. One of the most important advances in the field of odontology consists in the use of zirconium for both crowns on natural roots or implants as entire structures in fixed rehabilitations on implants, allows us very usefully replace metal alloys and ceramics which until recently were the only model used in this kind of rehabilitation. Dental crowns made of porcelain united to metal are stronger than pure ceramic versions and more aesthetically pleasing than those prepared with metal. However, their metal caps provide an opaque ceramic crowns combined to metal appearance. Because they do not have the reflective quality of natural teeth, porcelain crowns fused to metal are not as discreet as ceramic crowns. Also, products with this type of crown and over time, you may look a thin strip of metal along the gum line. Replacing the metal structures enables us to provide the patient a higher biocompatibility of the prosthesis that will be better tolerated by the gums and prevent the risk of metal allergies in susceptible persons. Another important to recommend ceramic zirconium prosthesis factor is certainly the aesthetics. Being a white and translucent material allows us to realize dentures more natural and bright. On the other hand, lacking below the ceramic metal structure, never gray edges will be in the case that the gum retracts Over the time. The Zirconium crown is ultra modern and super efficient for replacing your missing teeth solution, he will smile more often and others will be astonished. It was used for the first time in 1998 at the dental clinic at the University of Zurich (Switzerland), and since then its popularity increased continuously. Lot of patients because of the name, believe that the crown is realized in zirconium. But in fact, only the inner side is made of this material, but the external part is made of ceramic. The combination of such materials provides a high resistance teeth and an aesthetic that is not comparable with other kinds of dental crowns. The dental zirconium is fully compatible with the human body. It is not a metal and does not cause allergies; Zirconium white color permits the use of crowns for a longer period. With these crowns will never be visible metal, even if the gum is removed or a piece of broken ceramic. The zirconium crowns limited adherence of the dental plaque; zirconium oxide is not transparent to light compared to pure porcelain, so also when they are coated gray teeth, can become quite aesthetic. Zirconium crown also has a low thermal conductivity (because it is free of metallic parts), so you can eat hot or cold meal without tasting disagreeable sensations caused by the temperature. If right design of the structure is made as of the range and precision, there is no disadvantage to structures metal-ceramic. In the industry it is used for over 40 years. The primary zirconium white color can be changed thanks to the possibility of coloration by immersion with the 16 colors of the VITA scale. Its properties allow the rehabilitation of teeth with high level of quality. Costa Rica are renowned for their warmth and hospitality. It is secure and easy for patients in other countries to have their treatment of dental job in Costa Rica, and visit this beautiful country between appointments, all for a much lower cost, even lasts most of the materials, including dental implants we use are made in the United States and Europe. Offers competitive prices, modern facilities and the dedication of our health professionals. It is a growing tendency in Costa Rica and a complete mouth restoration is an intensive and cosmetic dental processing implemented in a person having very damaged teeth or has completely lost their teeth. 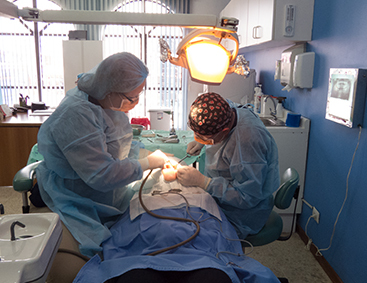 The demand for dental job in Costa Rica by foreigners has led to and growth in the number of clinics that offer their services within of the denominated dental tourism. It is estimated that about 60 certified establishments by international standards, are currently operating with a extensive line of procedures ranging from an implant crown, to full mouth restoration or porcelain veneers. Although there is no comparative data, dentists ensure that market players are increasingly and this sharpens the fierce competition that have countries like Mexico, Guatemala or Colombia, who devote many resources to catch a kind of tourist who stays additional time, let more foreign currency and travels all year long. 1.-Gradia prosthesis hybrid: Hybrid dentures are definitely the best option for oral rehabilitation. This is a fixed prosthesis is screwed to the implant. This kind of prosthesis is made with a computer micro-milling metal reinforced chromium-cobalt, chromium-nickel or titanium grade 5, which designs the stump on which prefabricated anger GRADIA veneers, a type of composite designed. This not only makes them highly comfortable and strong for you, but are also easy to repair upper or lower arch mouth with dental implants (6 to 8 implants). 2.-Over denture: they are the latter option that we propose more. 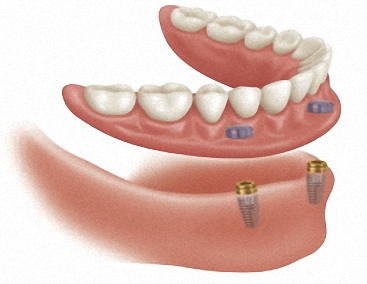 It is an implant prosthesis detachable, with a system called locator (male-female) to give you extra support. Among its greatest advantage it is that it can be removed for cleaning. It is made of resin and a metallic reinforcement cobalt chromium in its base to avoid breakage. 3.-Conventional prosthesis is the most classic, a denture that adheres to gingiva using a special glue. In this case it is not as recommended as the previous. Most people who apply a dental job in Costa Rica present the highest quality materials, with high standards, that's a competitive advantage. In accordance with the Law of Costa Rica, a specialist is a dentist who, after six years of Dentistry regularly, studying at least two years (full time) of a particular branch of odontology. This must be certified by the official Costa Rica Dental Council, to review the program and the University who offered the area of expertise (some programs cannot be accepted as a specialty, if not reach a level of excellence). The consultation and medical evaluation in our clinic is always attended by our director and physician-surgeon Jairo Vargas. In our clinic the patients are always attended by a friendly and trained staff in the various treatments that we offer. We have a surgical area and follow up of treatments 100% sterilized for the safety and comfort of our patients. "Initially, one is attracted by the considerable savings of doing the dental work there -for me, it has been consistently 1/3 to 1/2 of what I am quoted for the same work here in Jacksonville, Fl. 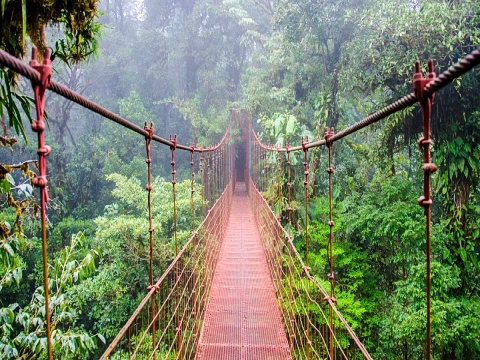 The savings more than pay for the whole trip to Costa Rica. But after getting to know Dr. Vargas and his staff, it is the quality of care, the total dedication to one's well-being and the excellent results that make me keep going back there, not the savings. I recommend Dr. Vargas totally and without hesitation." "In 2010 I went to Costa Rica and visited Dr. Jairo Vargas for two implants. He was very professional and his staff were super friendly and helpful. The dental implants were of the best quality. I live in Washington DC and could not complete the process in Costa Rica. When visiting Washington Hospital they were able to easily finish the job here since Dr. Vargas uses the same materials with the same quality used by US Dentists." "I met Dr. Vargas some 5 years ago when I needed 5 implants to replace my damaged teeth. A friend of mine told me how this doctor had reconstructed his entire face after injuries experienced from a highway collision accident and replaced his broken teeth with implants (except for some minor marks, one would never have guessed that he had experienced such trauma)." Growing instances of tooth loss and accelerated tooth decay has made it necessary for the adaption of new techniques in modern dentistry. Dental implant technology is based on the process of osteointegration where the artificial teeth implants are placed in the patients’ jaw and in time, they are naturally fused to the jawbone of the patient making it a permanent placement. Dental implants are basically a small metal screw designed specifically to be threaded in to the jawbone to hold a prosthetic tooth in place within the natural dentition. The dentists in Costa Rica use a variety of different types of dental implants but the medical grade versions in Titanium or Titanium alloy make the most popular choices in the region.. Depending on your dentist, the technology used for pacing the implants depends on the type of package you choose. It determines just how many implants will be placed in the bone of the jaw to hold the entire set of the prosthetic teeth in place. Often two, four, or six implants are used to design the final dentition in major tooth loss cases. In 3-4 months, the implants fuse with the natural jawbone due to osteointegration. What is the average estimated costs of dental implants in Costa Rica? At an average the estimated price of dental implants in Costa Rica, vary according to the package option presented by your dentist. You can either ask for a full package pricing where all the hardware, the placement of the implants and the surgical procedure are calculated. You can also ask for a quote for simply the abutment and surgery procedure. This package will not calculate the cost of the implants within the quote. 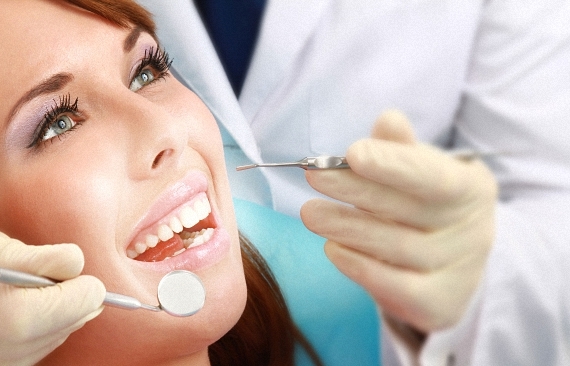 The trend f dental tourism to Costa Rica has markedly increased within the past few years. The region is getting quite a reputation for amazing dental work propagated by some of the most noted dentists for celebrities and famous personalities. The dental implant packages are quite affordable and safe in Costa Rica, making it a more engaging region for tourists looking for cosmetic dentistry options. Make sure to check the credentials of your dental practitioners and read about their success rates in major cases of dental implant assimilation. A rate of 95% or higher is the ideal mark for successful dentists with a credible reputation for implant work in Costa Rica. Age, improper care, or even diseases might lead to persistent tooth loss and accelerated decaying causing you to worry incessantly about the health of your mouth. It becomes difficult to chew your food properly making tooth loss a major cause for an improper diet and nutrition amongst patients. In some cases, a serious damage to teeth might also be the result of a sudden accident, which leaves seemingly healthy patients floundering for an appropriate solution. According to their expertise and your budget, different dentists can recommend Bridges, dentures and many other cosmetic dental procedures. However, dental implants are the most complete solution for such cases. Under this procedure, the badly damaged teeth are replaced with prosthetic teeth, which are secured in to the jawbone with metal dental implants. Why you should choose dental implants Costa Rica over other cosmetic dentistry solutions? Due to a natural process called Osteointegration, dental implants are fused in to the jawbone within 3-4 months of placement. The implants are therefore mad with medical glade titanium or its alloys, which closely resemble the basic structure of natural bone density. This makes implants more or less a permanent solution against teeth loss. A proper jaw alignment is necessary to keep your facial muscles from prematurely sagging or developing wrinkles around the mouth. It also often leads to a thin lips or pointed chin marker, which makes the face appear more aged than it actually is. Dental implants help restore the proper dentition to support the proper facial structure. The procedures for dental implants Costa Rica can restore damaged teeth within a day giving your immediate results for a heightened cosmetic effect against an improper teeth line or damaged and broken teeth marring your appearance. The dental implants are secure and strong enough to support the prosthetic teeth just as firmly as the natural teeth of the mouth. This gives you full control over your chewing and natural bite for a completely natural feel post restoration. Broken and damaged teeth often cause embarrassment and discomfort for most patients. With a dental implant procedure, you can invest n a complete mile restoration for improved appearance and speech. The dental implant procedure offers a permanent teeth restoration solution, which has no chance of slipping from your mouth at inopportune moments, or hinders your regular eating or speaking processes. The procedure also ensures there is no damage to adjoining teeth, as they do not have to be altered or shaped in any way to support the implants. WHY CHOOSE THE HYBRID DENTURE OVER TRADITIONAL DENTURES? The world of cosmetic dentistry is dynamic with consistent research dedicated to finding new and improved treatments. The most common treatment for excessive tooth loss has been the use of traditional dentures for a long time. However, times are changing now with the pioneering new technology of a hybrid denture you can now have a set of permanent dentures that do not consistently fall off or seem uncomfortable in your mouth. Moreover, the hybrid versions of dentures look and feel much more natural.. The hybrid dentures are a cross between the traditional dentures and a type of fixed bridge used for permanent implantation within the dentition. Hence, the product is termed as a hybrid. The hybrid dentures are improved over the regular dentures due to their fixed nature brought about by an all on four implant system. The hybrid dentures are better than traditional porcelain bridge implants because they do not have an uncomfortable fit because the hybrid procedure allows for complete replacement of the gum tissue surrounding the dentures. • They offer a far greater stability to the dentures as compared to the traditional unfixed dentures. The loose fit of the traditional dentures is a constant worry while the hybrid dentures feel much more natural post implantation. • The hybrid fixed dentures are highly efficient as they provide complete resuming of natural chewing, talking, and smiling abilities. The dentures are unlike the porcelain bridges, which make talking a little difficult during the first adjustment period to the treatment. Hybrid dentures treatment solves this situation with the replacement of the gum issue with pink acrylic between each tooth to give it a natural appearance with customization of the appropriate size. • The hybrid denture is the best option for cases where the patients have suffered excessive bone loss in the jawbone or have a lower bone density than average. The hybrid dentures are placed with the all on four dental implant system making it a very minimally invasive treatment plan. This allows patients with bone density issues to still be suitable as candidates for this procedure. • Finally, the hybrid dentures help patients restore full function and strength to get on a proper diet of solid food. The teeth look quite natural with a translucent sheen that is essential for most healthy teeth. The hybrid dentures are fast taking over the market as the most in-demand smile and functionality restorative treatment for elderly patients and patients suffering from excessive teeth loss due to diseases or major accidents..
WHAT SHOULD BE YOUR CHOOSING CRITERIA FOR PARTICULAR DENTAL WORK COSTA RICA FACILITY? 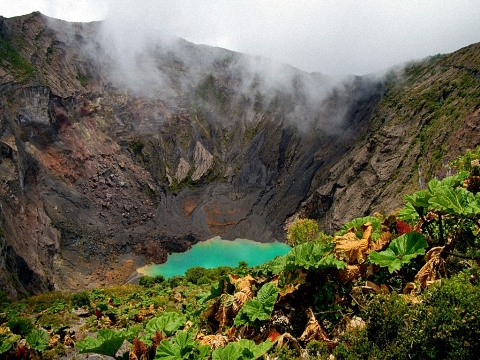 Costa Rica has emerged as a prime location for increased dental tourism. The region has some excellent dental work facilities. However, every individual needs customized care and should therefore choose the dental work Costa Rica facility according to specifically altered criteria. It is important to sift through the many options of facilities to find the one that best suits you. Here is a checklist of criteria to help you start the decision making process with the best foot forward. • Check for ideal locations – Costa Rica is a massive region and you should always check whether the dental work Costa Rica facility under your consideration is situated in an ideal art of the region. Facilities within the main city area are usually more up to date and higher up n the brand scale. They are also more conveniently accessible. • Check for the correct proportion of staff - the dental staff in the facility will be responsible for the effectiveness of your treatment. Cheek for the number of permanent doctors and on demand specialists available in the team. Also, check whether doctors have more than one specialization or surgeons for specific treatments are available with team. The number of dental assistants and even the number of operating rooms within the facility also reflect on the standard of care you can expect. • Check for specific expertise in major dental work areas - check whether they have the specialists on team that can handle your specific line of treatment of plan. This could include restorative surgery or cosmetic dentistry. • Check for accreditations - most high end dental work facilities in the area have one or more than one accreditations including ADA, AAID, ICOI, CCDCR, local accreditation with PROMED or international accreditation with AAAASF. Check for any of these affiliations to judge the standard of operative and post operative care within the facility. • Check for language compatibility with the team of professionals - check whether the staff are bilingual to support better communication flow for accurate treatment plans. You can also check whether the team has professionals speaking your particular language if you are not comfortable with the English language. • Check for affordability - check whether the establishment offers full dental packages compatible with your insurance plans. You can also check for comparisons with similar dental packages in the US and other countries for range of affordability of care in Costa Rica. • Check for promptness of appointments and attitude of support staff - check whether the support staff is polite and prompt with bookings and services. Check with the support staff regarding the immediacy of their dental equipments and dental technology. Check whether the facility has a dedicated call center to acknowledge the communication for international patients.